I find so much comfort when it comes to drinking a hot mug of tea or chocolate during the winter months. It helps me to survive by warming up my whole body. 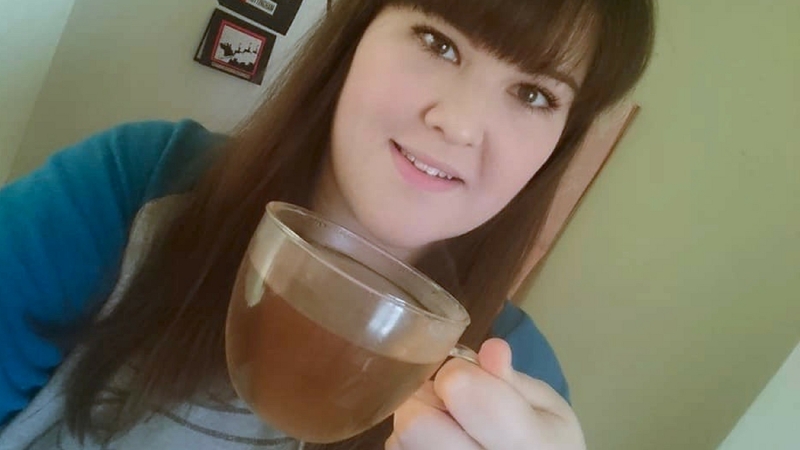 If you have been subscribed to me for along time then you will know that I'm a huge tea fan. I love trying and testing festive flavours this time of year. What are you favourite festive beverages? Let me know in the comments below. A tea company called Adagio got in touch acouple of weeks ago and kindly sent me a PR package full of teas and teaware in exchange for a honest review. 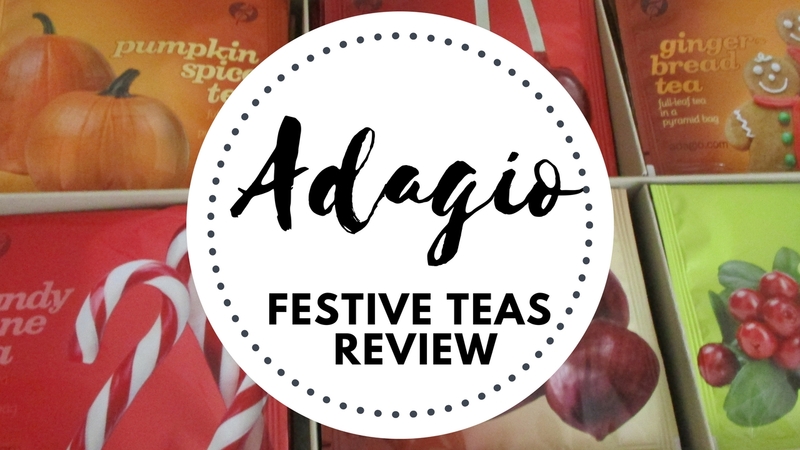 All opinions are my own I have been trying and testing all of their festive teas and gift sets. I'm here to share my thoughts with you so let's take a look. 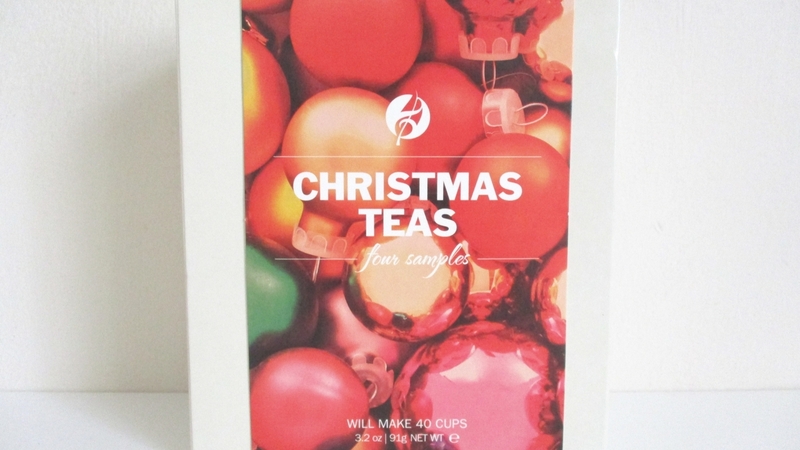 The first product which I received was Holiday Cheer which is a gourmet collection of 30 tea bags in six festive flavours. 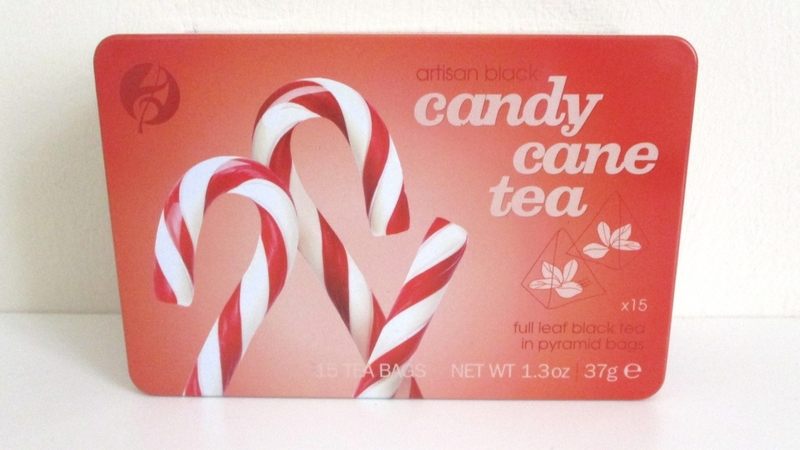 The flavours are Pumpkin Spice, Candy Apple, Gingerbread, Candy Cane and Cranberry. This is retailed at £14. The packaging is sophisticated and sleek. 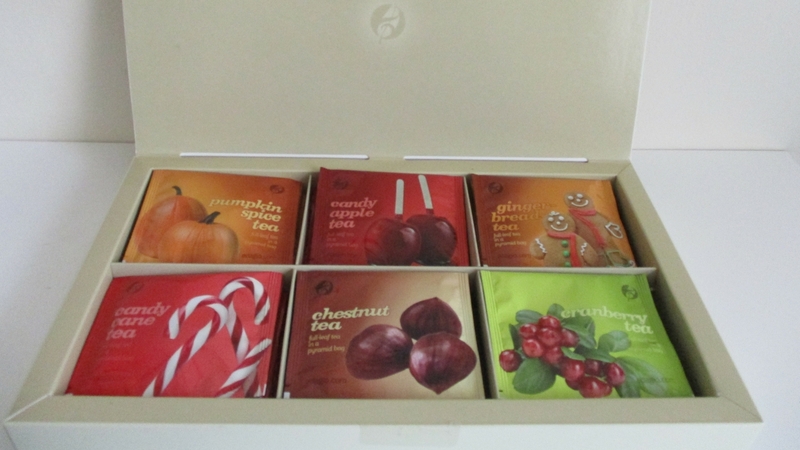 I love when you open the box to reveal 6 divided compartments which holds each sachet of the 6 different flavours. You get 1 tea bag per sachet. 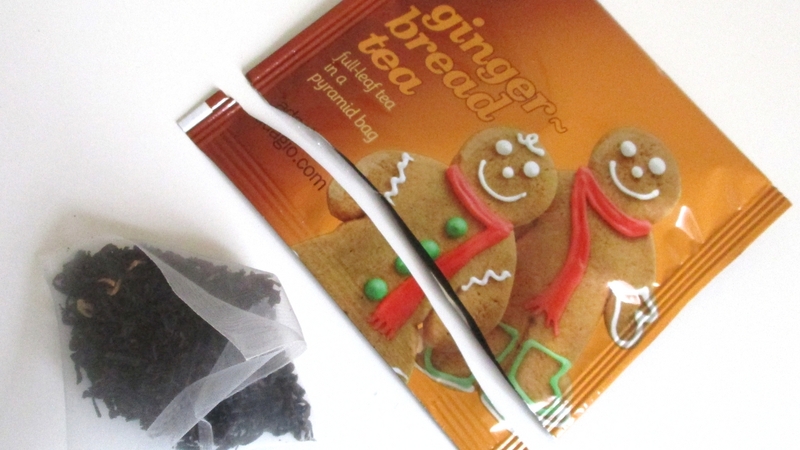 The tea sachets are colourful, bright and festive. I think that these would make fantastic stocking fillers for friends and family (if you don't want to gift the box to one person). 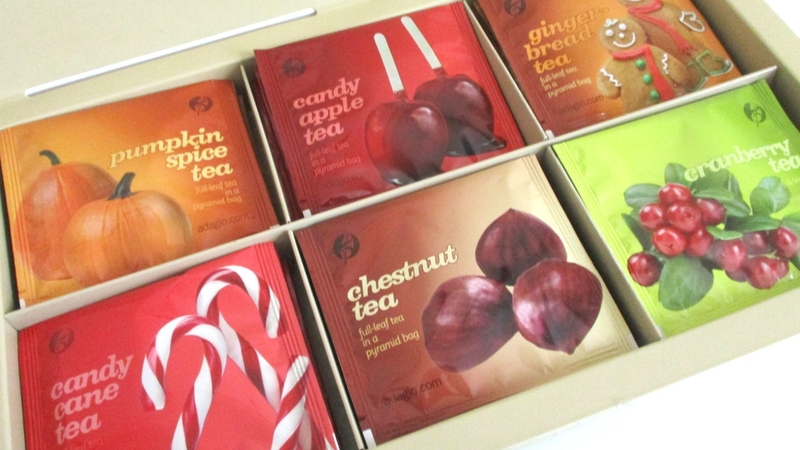 My personal favourite festive flavours are Candy Cane, Pumpkin Spice, Candy Apple and Gingerbread. 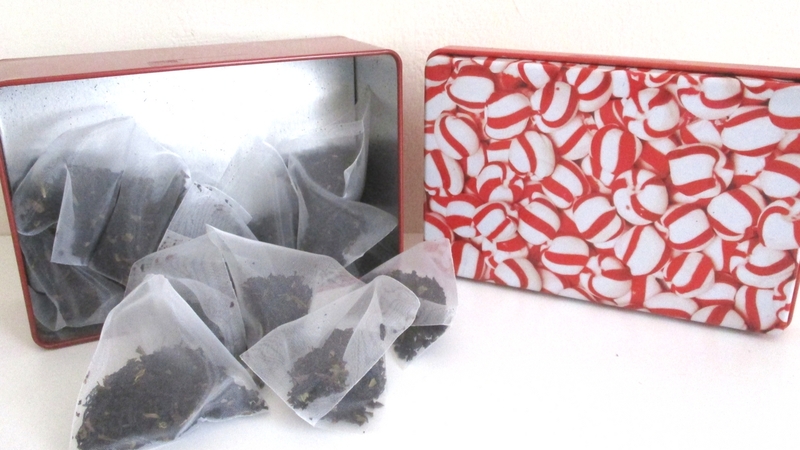 The next product is "Candy Cane" (Spice Jubilee Bags). This attractive tin holds 15 pyramind tea bags. Retailed at £6. When you open the tin on the back of the lid is a beautiful candy cane montage. I love that I can reuse the tin for storage. Perhaps I'll use this to store my christmas decorations when I put them away after New Year. 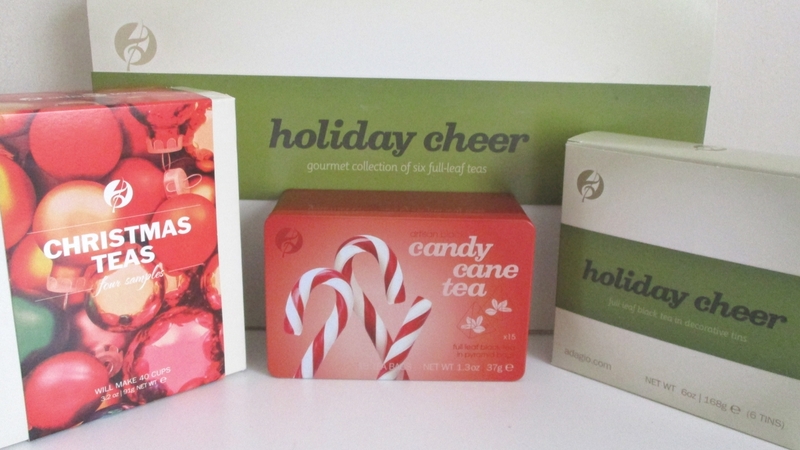 The next product is Stocking Stuffers which has all the flavours from Holiday Cheer but they are presented in small tins. I think these are cute and would look lovely in your kitchen cupboard. This giftset would make a lovely present or as a stocking filler. If you don't like tea bags and prefer loose tea then Christmas Teas is available in a box of four sachets of Candy Cane, Chestnut, Gingerbread, Chestnut and Candy apple. Retailed at £6. 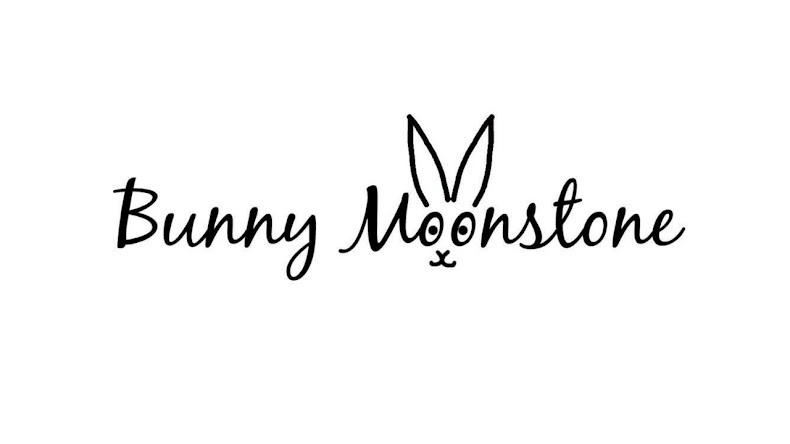 I love the logo of the baubles on the front. After I visited BlueBirdTea Co opening back in October (click here to read the blog post). 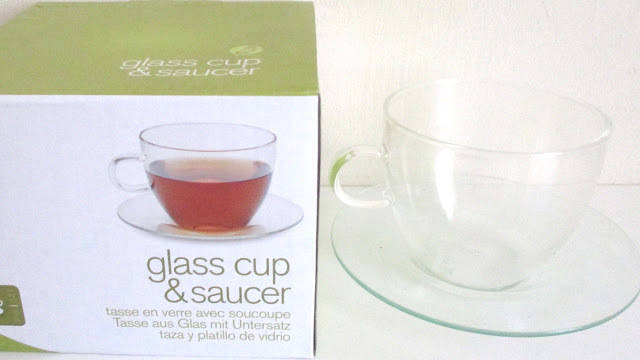 I didn't manage to buy a loose tea infusior. Adagio kindly sent me a teapot called IngenuiTEA which makes brewing loose tea so easy. Retailed at £18. It's a great device which I now can't live without. I've been boasting about this product on my Instagram story. 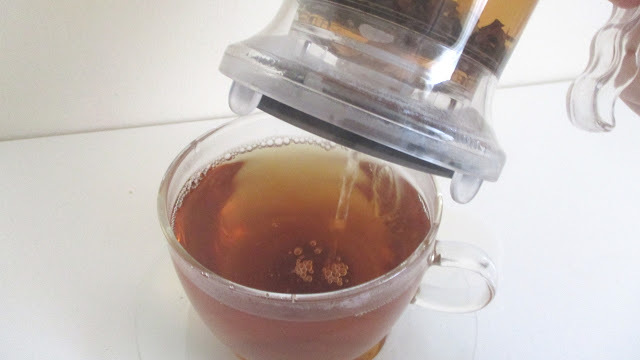 The instructions are to add loose tea leaves, pour hot water and let the tea brew to your personal strength. When ready, simple place it ontop of your cup. 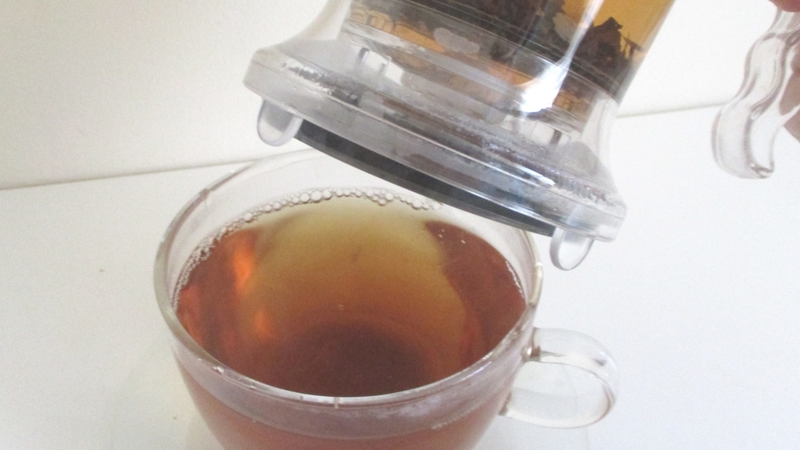 The valve at the bottom will release causing crystal-clear tea to flow down. The filter retains all of the tea leaves. 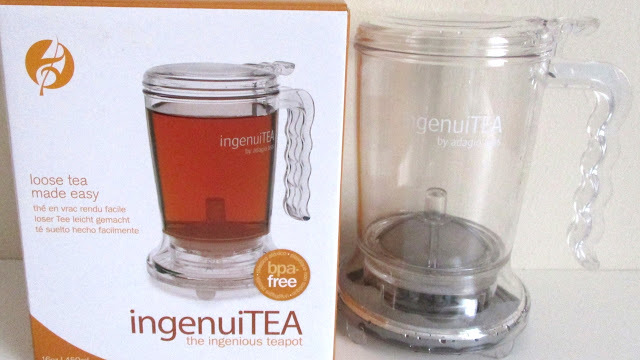 The ingenuiTEA is super easy to clean. It's BPA-free and dishwasher safe. Adagio have a beautiful glass cup and saucer set. Retailed at £8. There is something so authentically pleasing about brewing tea in a clear cup so you can see the tea infuse the water. This is going to make some wonderful photographs for my Instagram. Stay tuned. 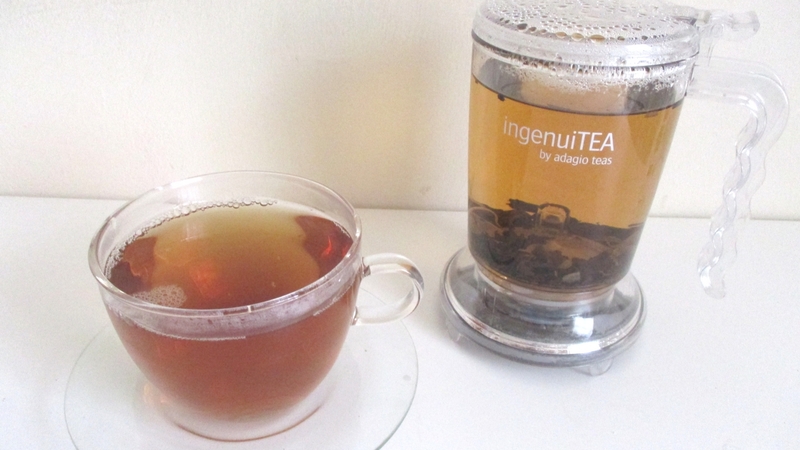 I feel that Adagio are a brand which make delicious tea, have beautiful packaging and teaware. I hope that you enjoyed my review. 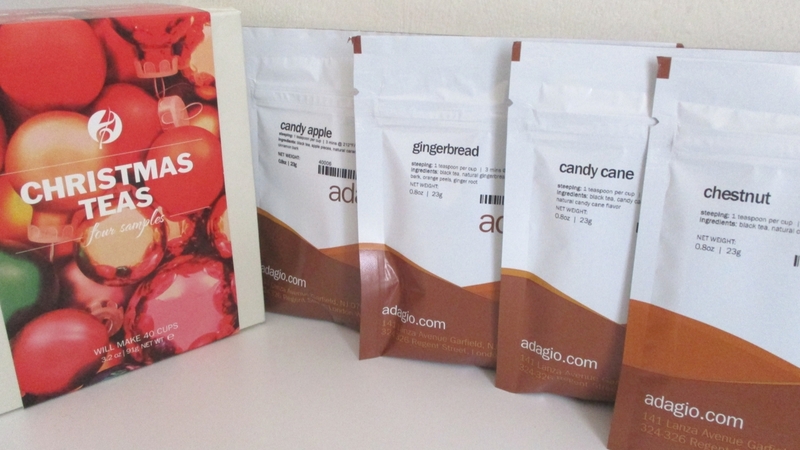 Let me know in the comments if you have tried Adagio teas before. I would recommend them.